The Ebola virus and its devastating affects are one of the top health issues in the media these days. Ebola hemorrhagic fever (EHF) is the severe, life-threatening disease caused by infection with the Ebola virus. EHF is a serious disease with a high mortality rate. Through direct contact with blood or body fluids/substances (urine, feces, vomit etc.) of an infected person with symptoms. Through exposure to objects (such as needles) that have been contaminated with infected blood or body fluids. The role of the environment in transmission has not been established. Limited laboratory studies, under favorable conditions, indicate that the Ebola virus can remain viable on solid surfaces, with concentrations falling slowly over several days. However, given the apparent low infectious dose and disease severity, higher levels of precaution are warranted to reduce the potential risk posed by contaminated surfaces in the patient care environment and beyond. 1. Use a U.S. Environmental Protection Agency (EPA)-registered disinfectant that is effective against a non-enveloped virus to disinfect hard non-porous environmental surfaces. Look for products with a label that claims to be effective against non-enveloped viruses such as norovirus, rotavirus, adenovirus, or the poliovirus. The EPA has a comprehensive list of registered disinfectants on the EPA.gov website. These include Clorox Clean-up cleaner with bleach and Comet disinfecting bathroom cleaner. This list of registered disinfectants meets the Center for Disease Control’s (CDC) criteria for use against the Ebola virus on hard, non-porous surfaces. It is necessary to follow the specific use instructions on the label for each disinfectant in order for the disinfectant to be effective. 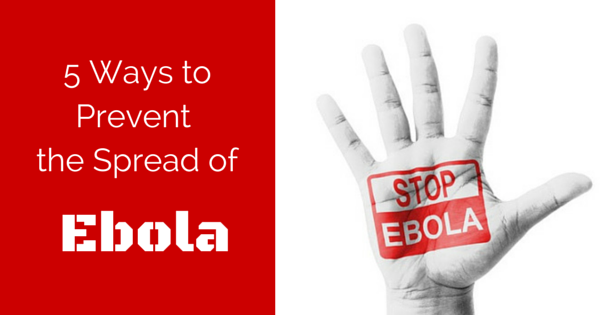 The product label will not specifically mention effectiveness against the Ebola virus. Instead, it will mention effectiveness against a different virus, such as norovirus, rotavirus, adenovirus, and/or poliovirus. 2. Cleaners must use appropriate personal protection equipment including gloves, mask, eye protection and medical coverall type suits. There should be no skin exposed. 3. Immediately clean and disinfect areas contaminated with blood, feces, urine or other bodily fluids suspected of containing the Ebola virus, using the recommended disinfectants as mentioned above. 4. Isolate areas suspected of being contaminated with the Ebola virus through bodily fluids to limit exposure to the virus until the full cleanup is complete. 5. Blood and body fluids should be treated using pathogen/potentially infected material cleanup procedures which includes proper disposal of items used in the cleanup process. The truth is it would be incredibly rare for an average home or office to be contaminated with Ebola. However, you should ensure that proper cleaning procedures using a disinfectant from the list of approved disinfectants are being used during the course of your everyday cleaning.